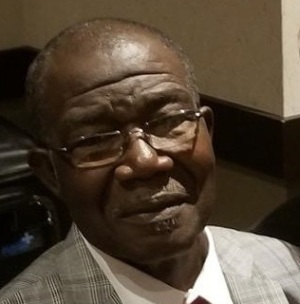 Obituary for Joseph Bright, Sr.
God gently whispered “peace be still” in the ears of Mr. Joseph Bright Sr. on Thursday September 13, 2018, and he peacefully entered into eternal rest. He is preceded in death by his parents; Issac Bright Sr. and Estella Grant, siblings; Daisy Chisholm, Adeline Collins, Adam Bright, Sammie Bright, Elizabeth Jones, Ethel Jefferson and Betty Chisholm. Joseph leaves to cherish memories of love and laughter to his wife Ora Bright, his children; Richard Bright, Veronica Bright, Vergie (Jonathan) Simmons Joseph (Lisa) Bright Jr., Shenandoah Gilbert, Adonis (Nicola) Bright Sr., and Terrance (Kawana) Bright, siblings; Issac (Zeline) Bright, Thomas (Sandra) Bright Sr., Ravenel (Mattie) Bright Sr., and a host of sorrowings family and friends. Public Viewing will be held on Friday, September 21, 2018 from 5:00 p.m. until 7:00 p.m. in the Edith S. Brown Memorial Room of Stiney's Funeral Home. All relatives and friends are invited to attend his Celebration of Life Service on September 22, 2018 at 2:00 pm.. at First African Missionary Baptist Church, 4526 S Okatie Hwy, Hardeeville, SC . Interment: Joe Williams Cemetery, Hardeeville, South Carolina. Final Care and Services with Distinction, Dependability and Dignity provided to the Bright and connected families by Stiney’s Funeral Home.